Every day we make a gazillion of decisions – what to eat, when to get up, what to buy, how to plan the day, what to answer when being asked etc. Sometimes our decisions affect not only us, but also other people, their present and future. Our doubts and difficulties in decision making drain our energy and kill our productivity. After years of having issues with making important decisions, I learnt a lot and came up with ten key points I want to share with you. This is Part 2 of this post. Part 1 can be found here. Bear in mind that each decision has its price. I talk about the efforts to make this decision. Now I will pull Captain Obvious: your efforts to make a decision should not outweigh the benefits of the decision. A great example: a company has a budget of 2 thousand dollars and don’t have a plan ready on how to spend this amount. They hire consultants to help to make this decision. Cost of their services was… 50,000 dollars! You think it is impossible? It is a true story. I will not name this blue-chip company, but such an anti-record took place more than 10 years ago. Don’t try to change your decision at the last moment. Don’t change horses in midstream. The best way to jeopardize anything is to make major changes in the activity which has begun. If you made up your mind and already started executing your decision, don’t change until done. For any decision made by someone else there is a point of no return. I mean if you delegate decision making to someone else, there is always a certain point of time after which you will have very little or no impact on the result. Intuitive decision. Everybody is aware of how to make logical decisions. There are hundreds of books written on this topic and tons of practical courses offered. But nobody teaches us how to make intuitive ones. Too bad. Because almost everybody can recall at least one case when they followed the intuitive decision even if it seemed logically wrong – and were right. Yes, sometimes we need to follow our intuition. That is why I would like to share a technique how to do that. Unfortunately, I don’t know the name of the author (I have heard this quite long ago from a person who also wasn’t an author), but I admire his or her wisdom – this technique works! You need to choose one of the several options. You concentrate on your feelings in the area of your solar plexus. And now you walk through your options one by one. And watch your solar plexus feelings. You should choose the option giving the most comfortable feeling. Some decisions must be made quickly (example: you see a girl of your dream and you have doubts to get acquainted right now or wait for a better moment. This is an example of do-it-right-now things, make this decision to approach this girl quick!). Some decisions must be postponed, or, ideally, never made (let’s return back to the girl of your dream. Say, you married her. And today you have a quarrel. She throws plates into you. You are both shouting… Finally one of you comes to a conclusion that a divorce is the only way to resolve the problem. All emotional decisions like this one belong to the kind of decisions you’d better postpone and preferably avoid). You should strive to get a level of wisdom that you can distinguish the first (do-it-right-now decisions) from the latter (better-postpone ones). After years of having issues with making important decisions, I learnt a lot and came up with ten key points I want to share with you. This is Part 1 of this post. Often you have to make decisions when you’re lacking some or all the information needed. Be ready to face this. It is normal. This happens very often especially in business and in investments. What can you do? Train your “decision-making muscles”, i.e. make such decisions. Yes, simply make them. You probably will never have all the information you need or want. So work with what you have. Sometimes I recall a good saying: “The moment when the last button is sewed on the jacket of the last soldier will never happen”, meaning exactly what I just mentioned – you will never be ready to everything. Inability to make decisions quickly. Fight it. For example, I have my own rule: when I collected and analyzed all the information needed (or in most of the cases all the information available to me), I give myself 1 minute to make the decision. It can be hard, but it is just a matter of self-discipline – never waste time. You also should have an algorithm how to choose between approximately equal options – a coin toss or something similar and easily doable. Decision = Responsibility. By the way, how would you define responsibility? I mean how to re-phrase it without saying words “responsible” or “responsibility”. 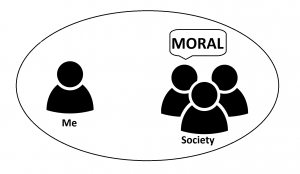 My version is: responsibility is when you equal your actions and the result, so you proclaim yourself an author of this result if you are an author of action. And you should always do it, no matter if the result is good or bad. Coming back to decisions, every time you made a decision, you took responsibility over what happens next (including the things out of your control). Sometimes a bad decision can be better than a good one. Sounds weird, but that is true in many cases. A bad decision can be better than a good one provided that a bad one was made in time and a good one was made way too late. Bear in mind the time factor, or a time multiplier. When too late, this multiplier can be zero. Your main enemy is a fear of failure. And his little sibling – Procrastination (this cool-looking buzzword means waste of time, lingering because a person is afraid of starting something uncomfortable or something which potentially may fail). The most important thing to understand is that you are not a looser just because you failed. Failure is just one step on your road to success. It is important to make next steps. Of course, you should not repeat the mistakes, but I believe you will not. And you should not be afraid of mistakes. Moreover, I would suggest to carefully collect every mistake – it educates you. The only thing you must be scared of is a deliberate burning of time in order to postpone possible mistakes and failures. You will lose much more if you don’t start rather than if you start and fail. This lesson starts the course of lessons related to investing. The lessons here were learnt by me, but of course I cannot pretend that I invented all the theories, techniques, approaches, practices and advices. So, from time to time I will refer to the wisdom of some other people (and, of course, I will name them). The lessons will contain problems of rather practical nature. I would recommend to go through them. This will be your first step to practicing all this. Later on I will add a page with answers to all those problems (where applicable). And please remember, that only practice turns your knowledge into skills, and skills (not knowledge itself!) will change your life. There is a lot more I would like to say, but I cannot stick all this into the foreword… Let’s start the lesson. There are three main roads to social success: the road for smart people is named career, the road for brave people – business, and the road for rich people – investments. But please don’t be disappointed by the fact that you are not rich as of now: first you have to start thinking like a rich person, and then later your fortune will grow accordingly (I promise, that later on in this blog I will delve into this topic deeper, but for now just believe that tweaking your thinking is the fastest way to change your reality). So, what do you need to start investing? An intention to think like rich people plus some more: time, patience and self-discipline. You don’t have to be extremely smart, but if you don’t have enough of self-discipline, this road is not for you. If you cannot wait and refrain from impulsive actions and frenzies, this road is not for you. If you have a delusion to become rich overnight, this road is not for you. There are two more secret components which I didn’t named yet. Some bravery since you will risk your own money and you will have to be fully responsible for your own actions. If you cannot do that, this road is not for you. That was one. And another one is your ability to change your worldview by learning on your mistakes. 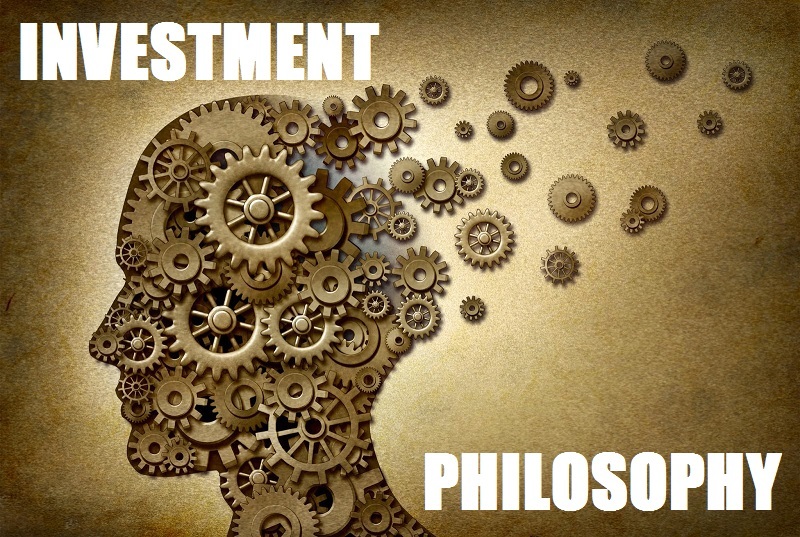 To describe the philosophy of investing we need to know what assets are. If you read Robert Kiyosaki, you know that an asset is something “that puts money into your pocket”. I like this definition – simple and to the point. In investments you buy assets (oppose to business, where you create your assets). This is the nature of investing: by buying assets you make your money to work for you. And a little bit on why you need patience and self-discipline. If your activity to make money quickly turns into the money in your pocket, I call this quick money. As an employee, you make quick money – each our of your work turns into the cash at next paycheck, typically twice a month. So why would anybody opt for slow money ? The reason is that “slow” and “quick” refer not only to how fast you get the money but also to the inertness of the cashflow: after you got an asset (bought or built), it will bring you money for decades after that without your significant efforts. Compare this to quick money: 1 hour of your work turned into money quickly, but it’s gone. You are paid once. And if you want more money, please go and work again. As an investor you should prefer slow money. Hello, World! Or what this blog is going to be about. in 2015 I started drastically changing my life: before that I was a seasoned Software Programmer with more than a decade of experience and appropriate status and salary. Right after the change I turned into a total newbie in business and entrepreneurship with no status and almost no income. Nevertheless, these 18 months already gave me invaluable changes in my philosophy and my worldview. Several things were carried over from my pre-2015 to my post-2015 life: investments (7 years in fundamental investing), experience in building software (my businesses are also in IT realm) and my hobbies, of course. So, this blog is going to be about the lessons I learned and still continue learning in all those aspects of social success: investments, business and startups, leadership, management, other important professional skills, and miscellaneous matters grouped into general/lifestyle category. Let’s go and may the Success be with us!